First seen back in 2005 when Melo was still with the Nuggets in the mile high city, the shoe was referenced as an “away” edition that, for all intents, wasn’t something Anthony actually wore on-court. But that hasn’t stopped PE enthusiast from drooling over this lush black and yellow exclusive for over a decade now. solecitor and fc1114 like this. Must cop the Bruce Lee 13's. Not a huge yellow fan but these look pretty good. I'm in the minority, but I do like the new rubber mid sole. The suede is great for collecting, but impossible to keep clean, especially yellow. Yeah I feel the same way. The XIII is such a dope shoe. Would much rather see a black/green Ray Allen 13 PE. Hell give me an OG black/red colorway Jimmy Butler PE. 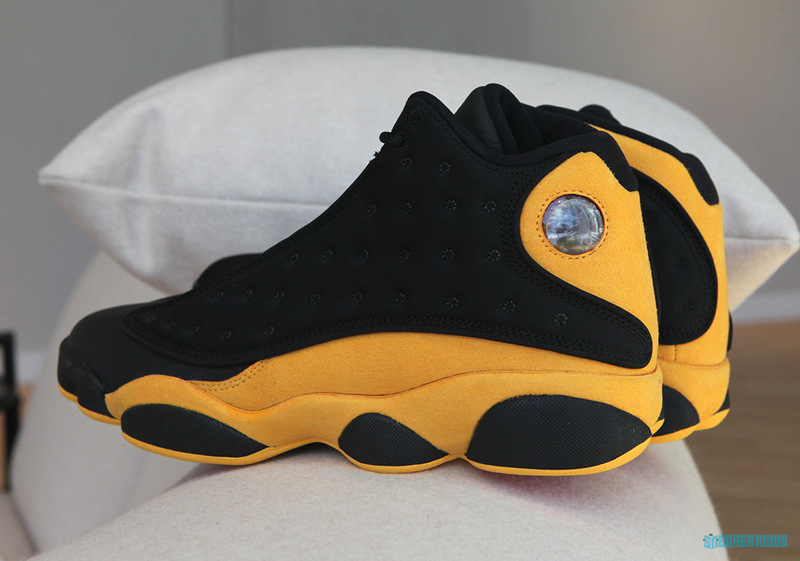 Just not a fan of black/yellow color ways. marikomorose, datboi81, 160jordansdeep and 4 others like this. SupremeBeing5 and subtlewordplay like this. They should release Ray Allen 13s lmao these look like thunder 13s so I'm good off em but cool concept putting Melos name in there Jb! Never really was a Melo fan but that 412 c/w got me in. JB needs to drop more XIII's and XIII Lows as well.. would love to see the neutral grey and Carolinas again..
nakikio and slaughterx like this. ^Yea the Wu logo in place of melo on tongue. Nelson!, nakikio and Olympus like this.